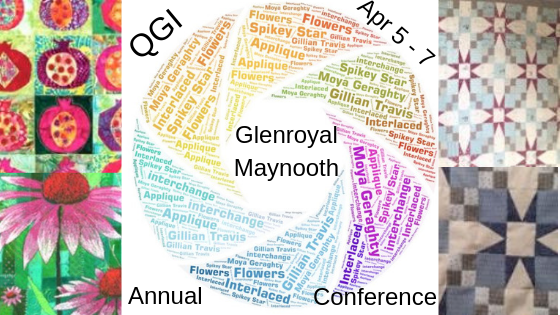 Pauline Openeer is a Patchworker, Quilter and teacher who founded Irish Country Quilting in 2001. Pauline is from Holland but is now living in Donegal. In recent years Pauline has been designing and making quilts from tweeds and wools which are readily available in Donegal. Pauline has exhibited these quilts both nationally and internationally. Saturday March 22. 10:00 am to 4:00 pm FRUIT FOR THE BIRD. Size: approx. 40cm x 100cm / 16” x 40”. 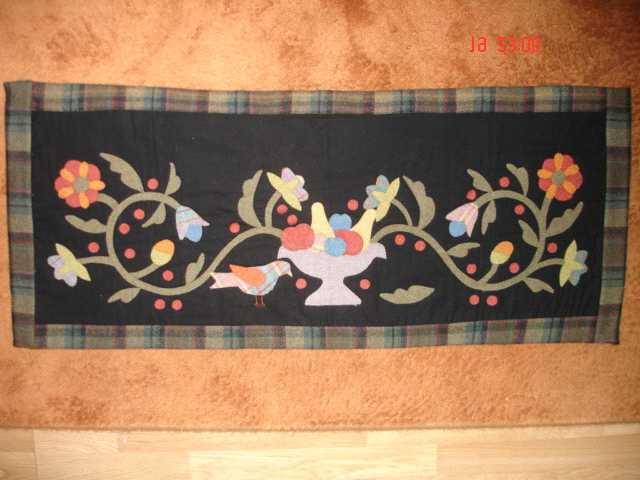 A delightful runner or wall-hanging with tweed applique. At this workshop we will follow all the steps for a raw edge applique project, but now with tweed. Wool is a lovely medium for both quilts and craft projects. You will love it. All levels.